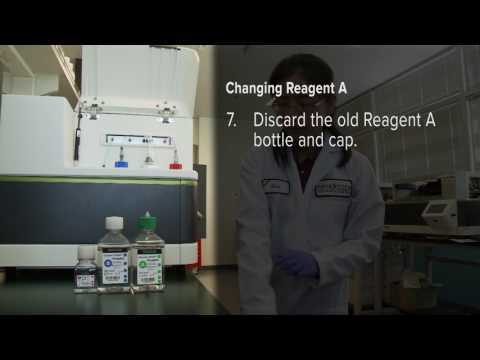 Record the lot number of the reagents you use with each experiment. Many users will peel the labels from CodeSet tubes and cartridges and insert these directly into a lab notebook for easy reference. Connect your SPRINT to your local network to access the Web Application, which lets you remotely enter run information, check run status, download data, and more. Always warm your SPRINT cartridge to room temperature for at least 15 minutes before loading your samples. 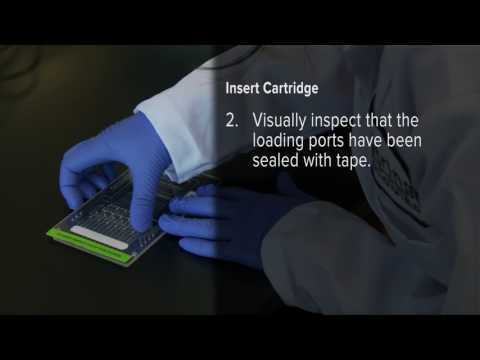 When loading your SPRINT cartridge, always add an air gap behind your sample. Simply depress your pipette plunger past the second stop to add an air bubble. It’s okay if the bubbles are slightly different sizes, the instrument will take care of the rest. Never force or apply pressure to the cartridge drawer, instead use the open and close commands on the touchscreen. When initializing a run, stay with your SPRINT for the first 5–10 minutes to ensure that it initiates without errors. In general, any errors that occur during this time will be recoverable. Used the wrong RLF for your scan? You can easily re-define an RLF by using the “Fix RLF” function in the Web Application. For faster response times when contacting Technical Support, attach your instrument log files to an email request to support@nanostring.com. Log files can be downloaded via Sprint GUI or Web Application. Always check your data for quality control immediately after each run, even if you are not ready to perform your complete data analysis at that time. Checking your data after each run is especially important if you are performing a large experiment over many months. For a lab with multiple users, you can enable usernames and passwords to keep your run information safe. Always handle the cartridge by the left and right edges, “NanoString and barcode” ends of the cartridge. After a run, store your cartridge at 4°C in the dark in case a re-scan is needed. Cartridges can last for up to 5 scans or 1–2 weeks before significant attenuation of signal if stored properly. Use a twisted lint-free lab tissue or lens cloth to “floss” between the pipette nozzles and remove any grease from the white tip ejector block above the nozzles. If necessary, pull the tip ejector block down to thoroughly clean it. Use a small amount of grease during o-ring maintenance and make sure to wipe excess grease from the nozzles. Excess grease on the white tip ejector block may interfere with proper tip ejection. If the instrument has been idle for more than a month, always perform a dry run before processing precious samples. Contact support@nanostring.com for more information. Keep a blank cartridge in the electrode fixture between processing runs to avoid accidental bending of the electrodes. Always use new consumables (including cartridge, reagent plates, and tips) when restarting a sample processing run. If you are advised to restart a run, it is recommended to power down and restart the instrument before re-initiating the run. Use the shutdown button in the maintenance menu. When loading your cartridge into the prep station, never press down on the middle of the cartridge to seat it in the electrode deck, doing so will bend the electrodes. It is highly recommended that Prep Stations are on at least a 600 Watt uninterruptable power supply, and Digital Analyzers are on at least a 600 Watt uninterruptable power supply.